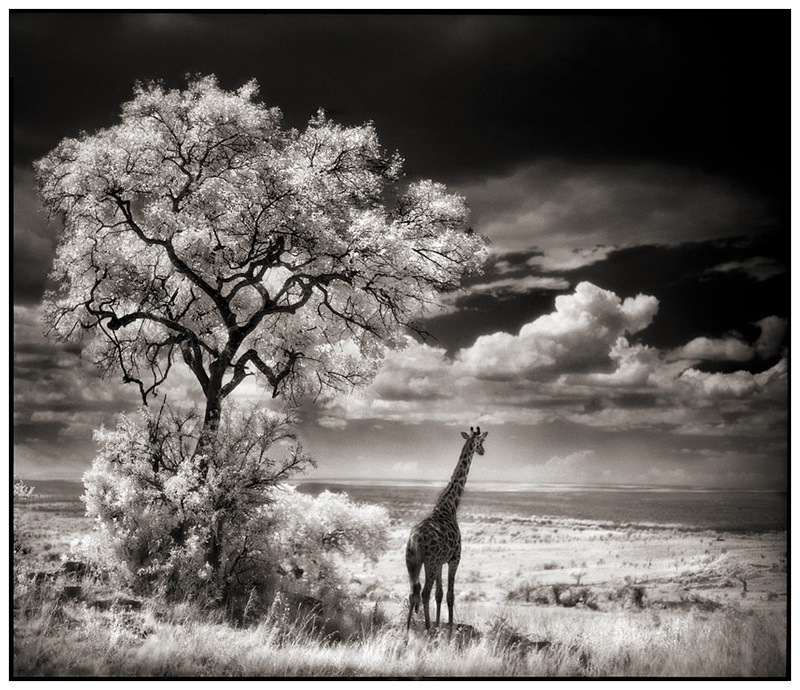 The East African savanna is truly a rich and striking landscape. 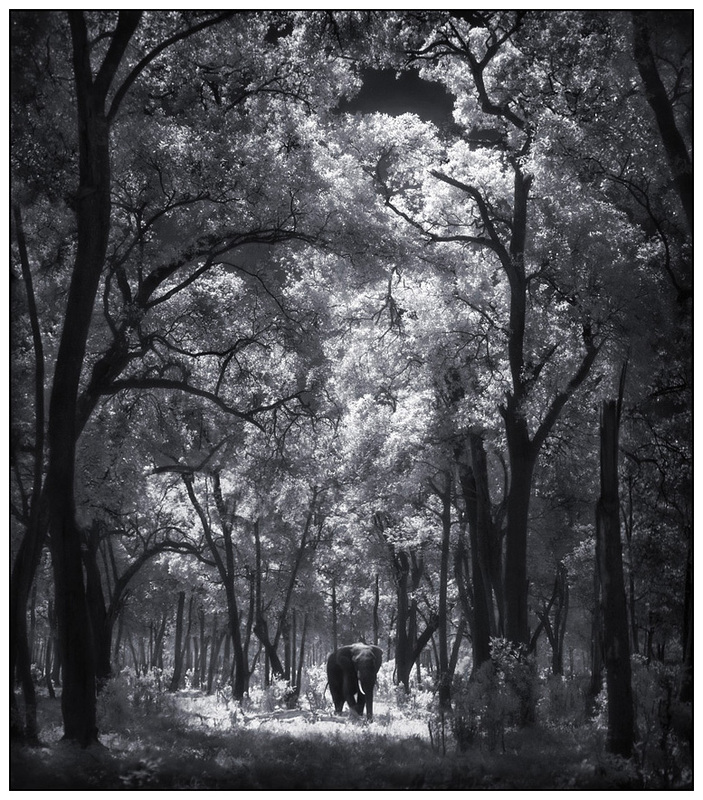 Thickly trunked Baobab trees thrust their branches bravely towards the sun, while Umbrella Thorns shelter from the day’s baking heat under prickly canopies. 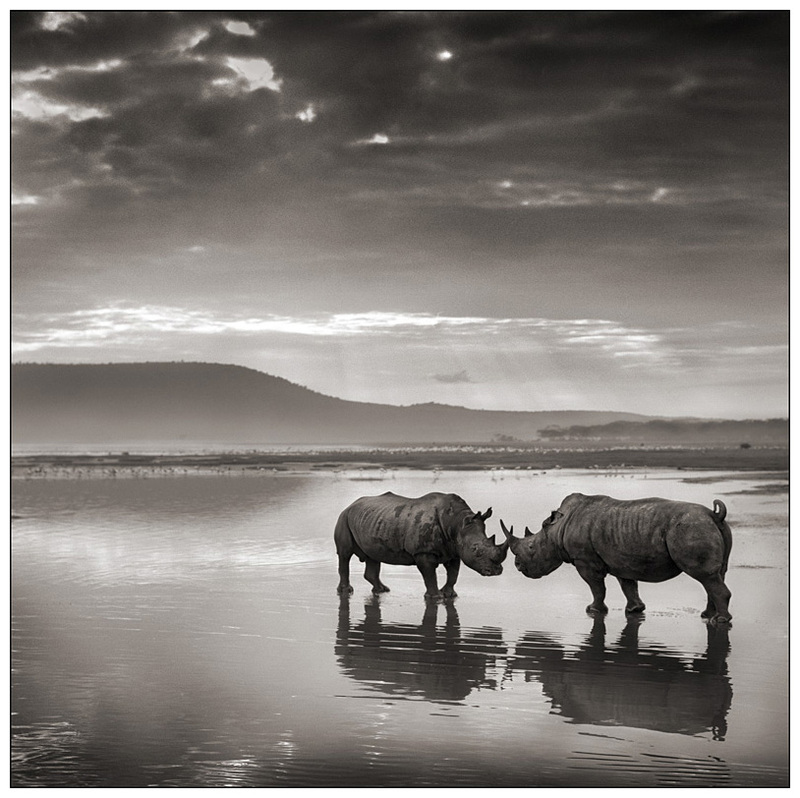 Millions of years of tectonic activity have sculpted not only the majestic lakes Tanganyika and Victoria but also the continent’s tallest peaks: Mounts Kenya and Kilimanjaro. 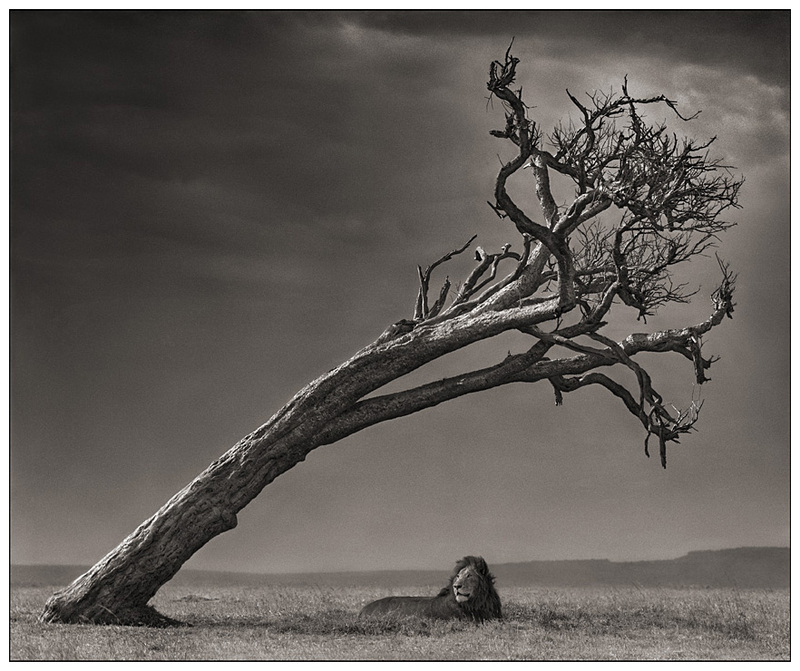 But amid the natural beauty and anthropological significance, East Africa plays host to a grave contest. 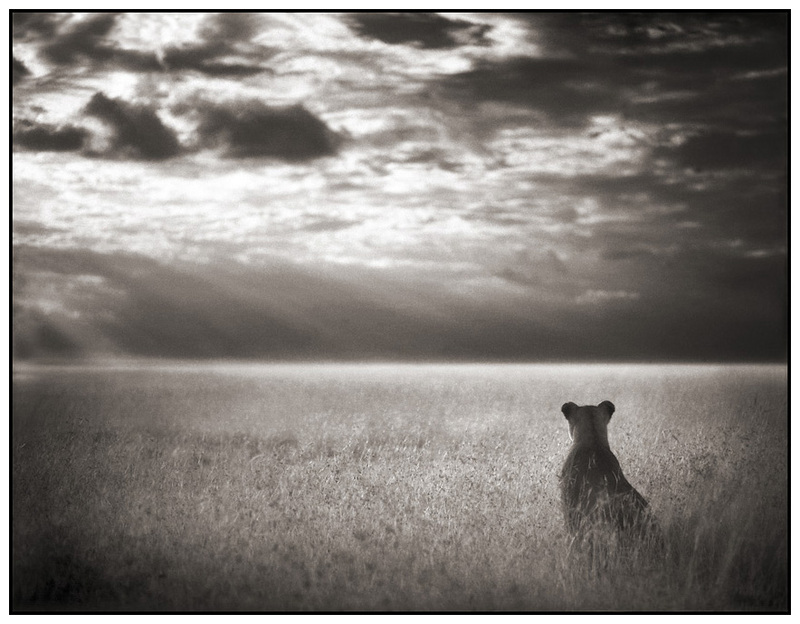 Away from the brash buzz of the vuvuzelas and the mass-merchandising of the 2010 FIFA World Cup, the competition that takes place daily on the grasslands and plains could have severe repercussions and mean the difference between survival and extinction for some of the world’s most recognizable animals. 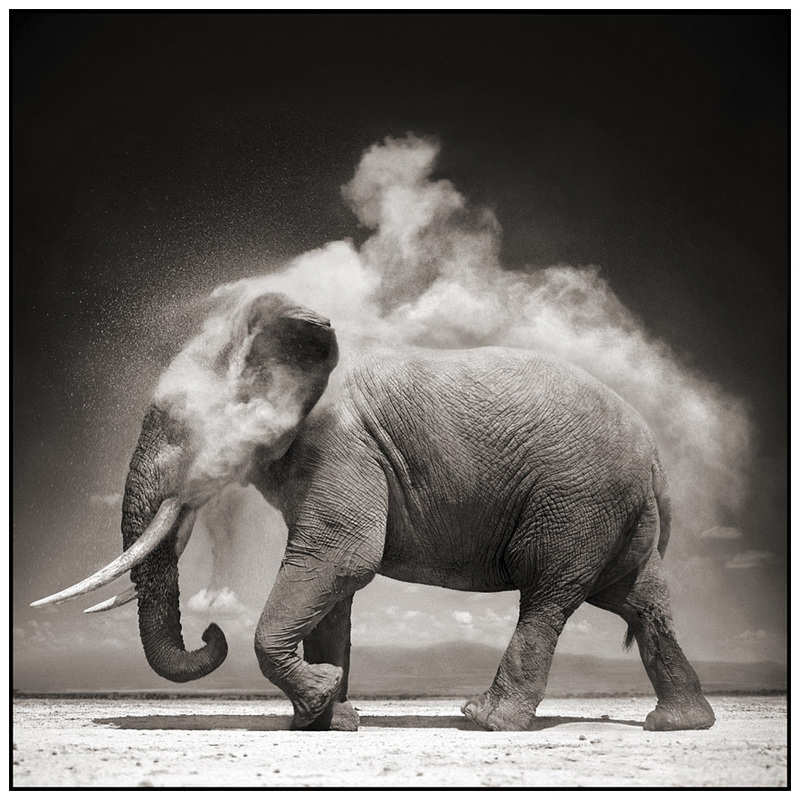 9 Elephant With Exploding Dust. 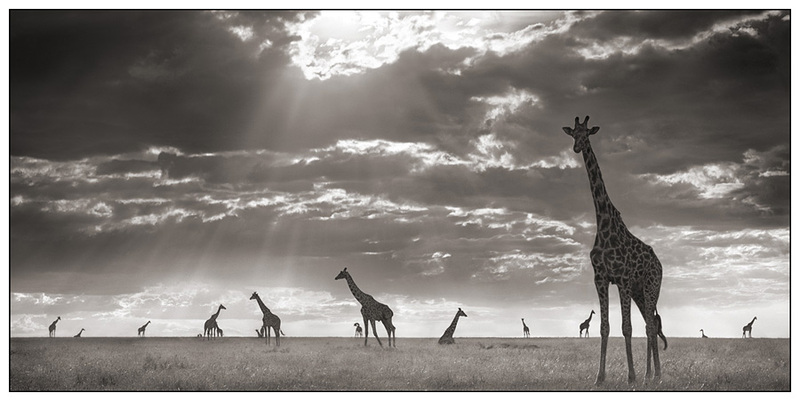 21 Giraffes Under Swirling Clouds. 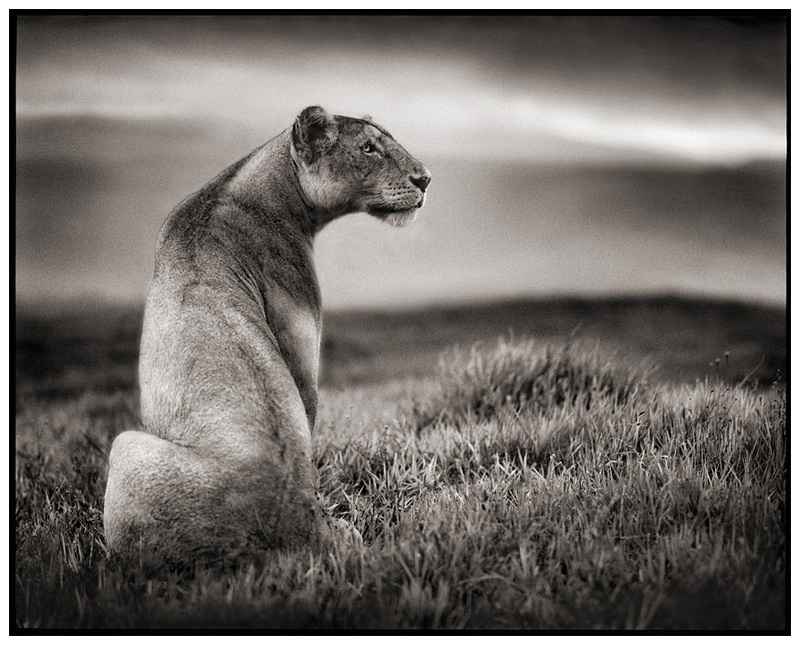 Lion Before Storm II- sitting profile. 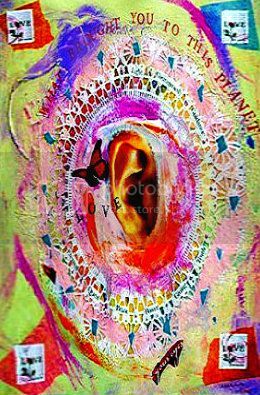 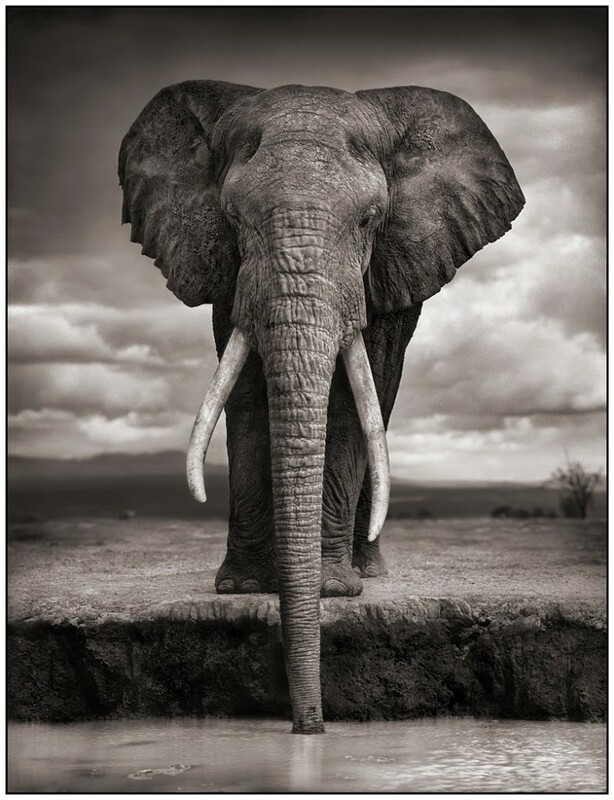 Think of African wildlife, and lions, cheetahs, rhinos, zebras and elephants will all burst into your consciousness, but disease, drought and poachers mean that many of these much-loved animals are even today facing extinction. 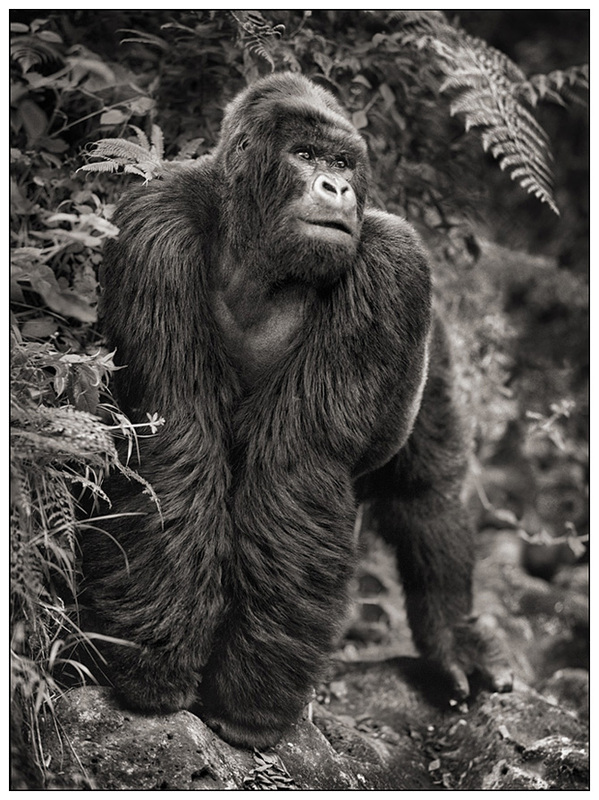 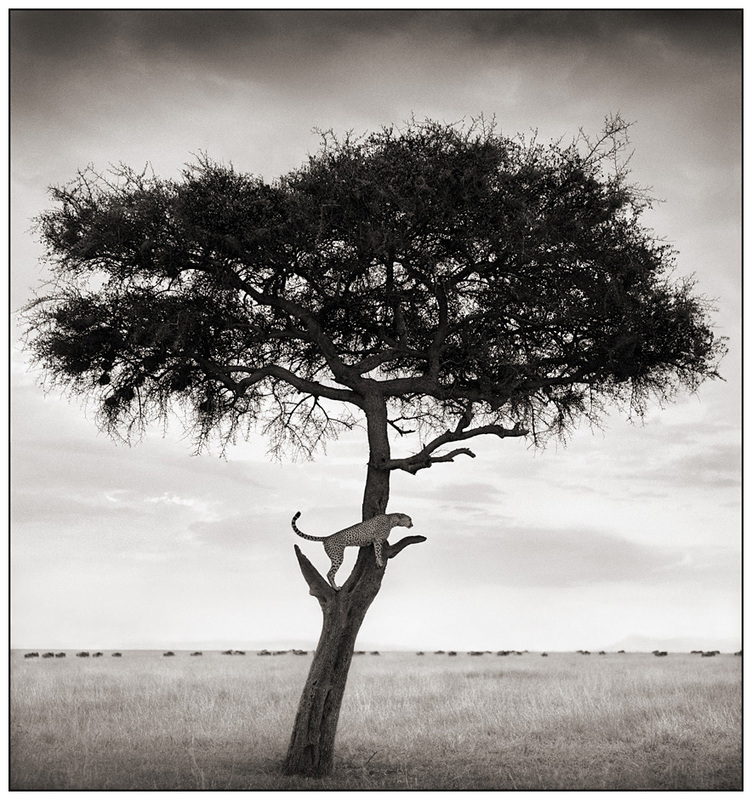 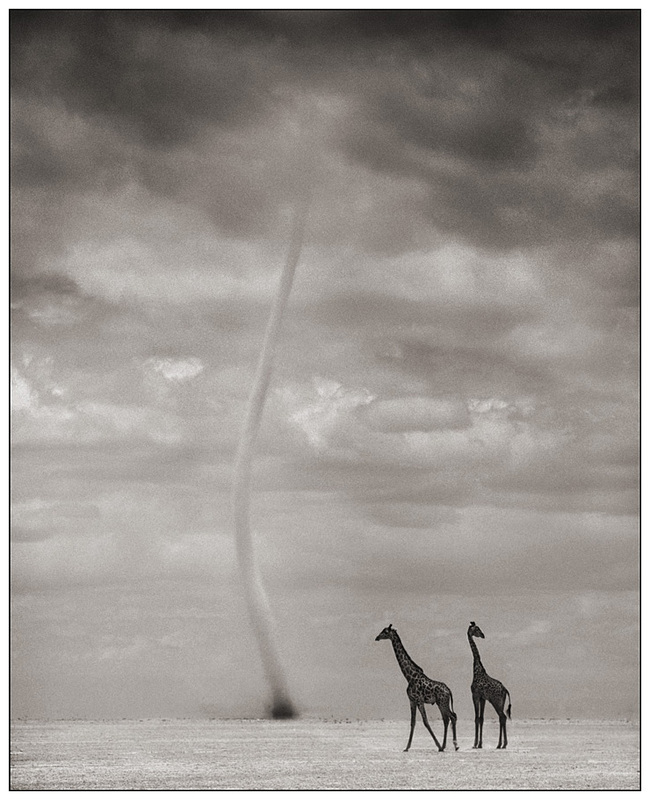 This is a predicament that fine art photographer Nick Brandt knows all about. 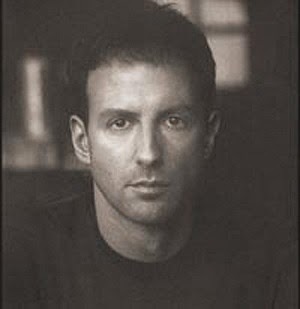 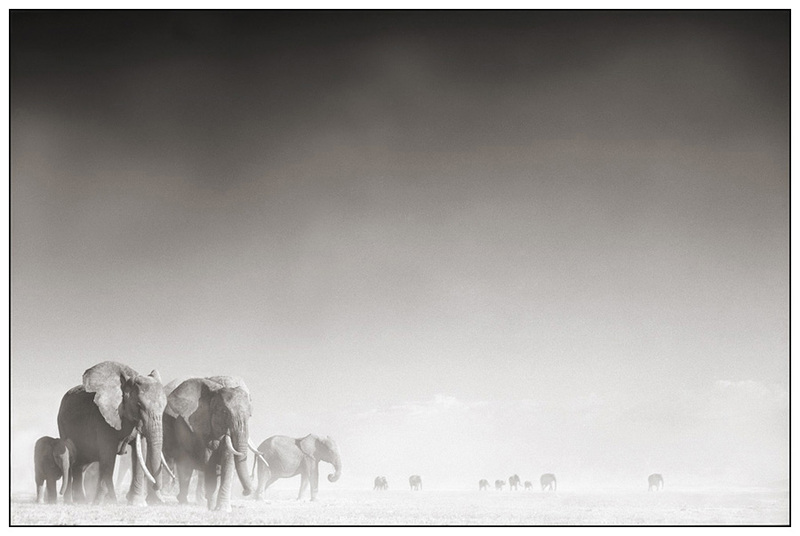 He became enthralled by the untamed inhabitants of East Africa while directing Michael Jackson’s Earth Song music video. 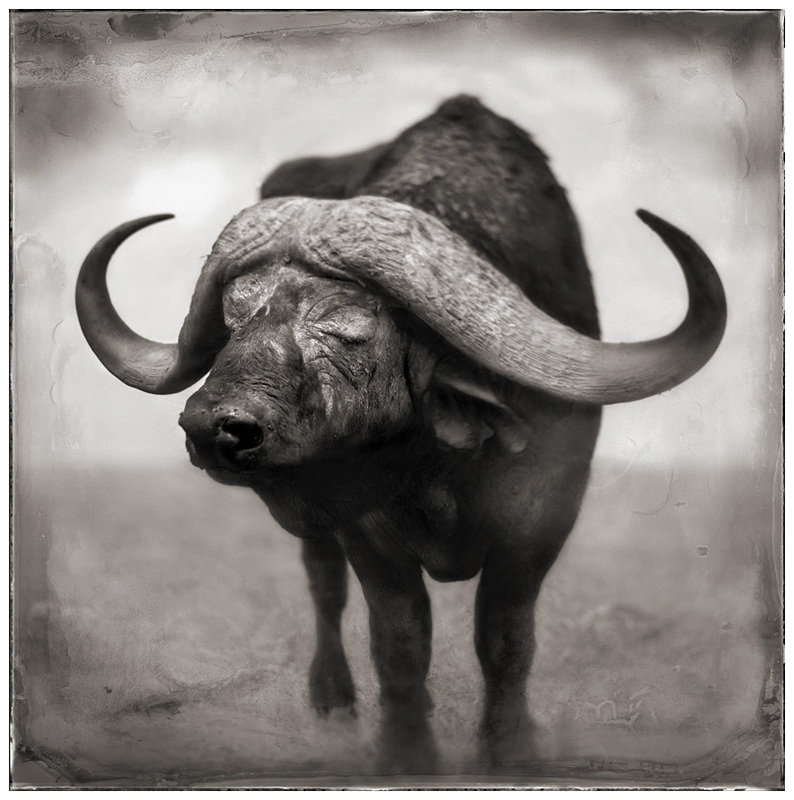 Feeling unable to fully capture his vision on camera he switched to photography and quickly became dedicated to capturing the intimacy and struggle of these exceptional animals. 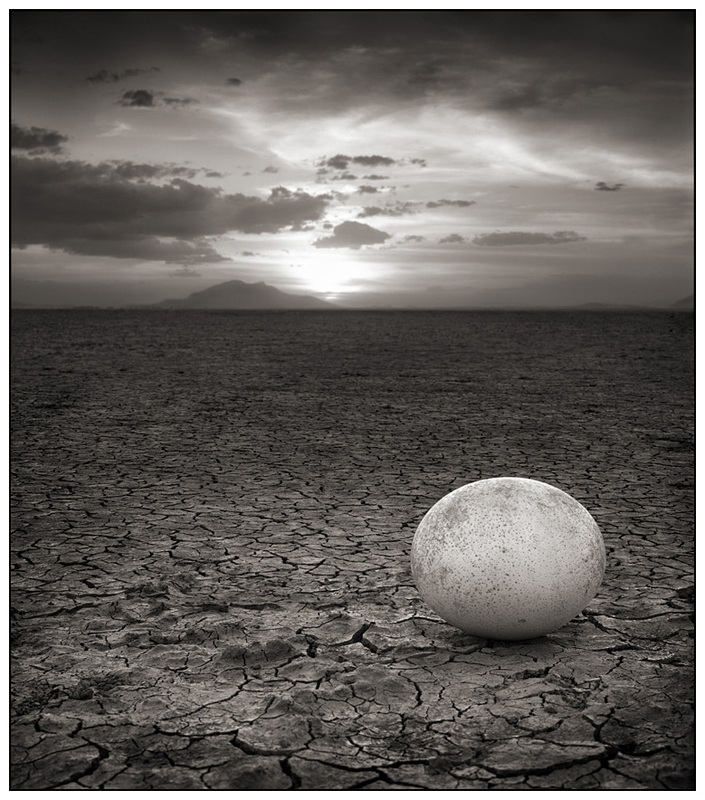 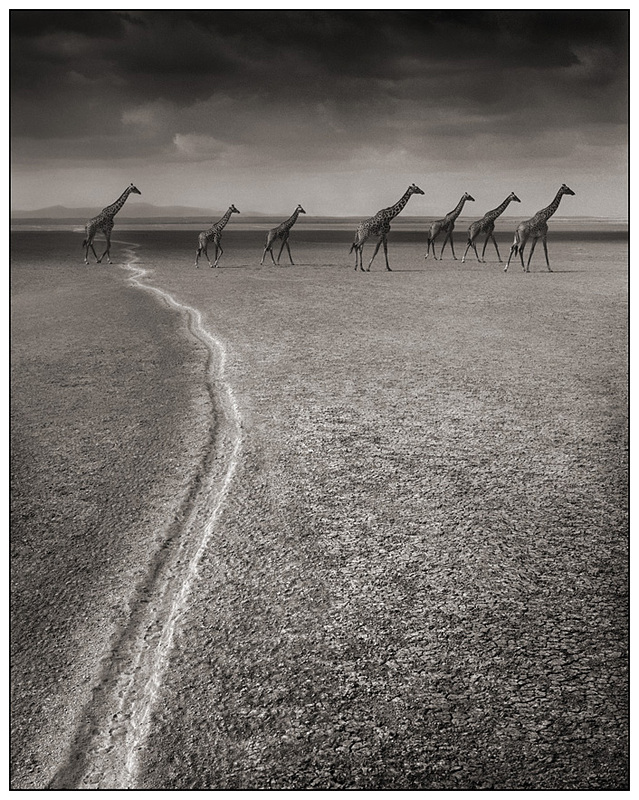 Nick Brandt, the renowned British fine art photographer, has published his latest book, A Shadow Falls. 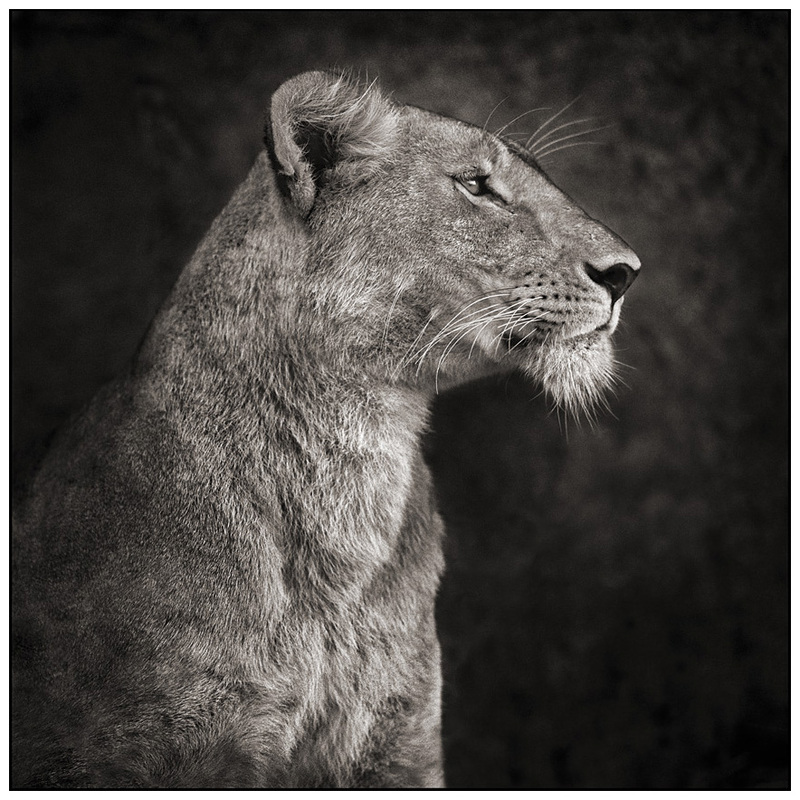 Containing striking new portraits of animals, from chimpanzees to cheetahs, it focuses on East Africa’s vanishing wildlife. 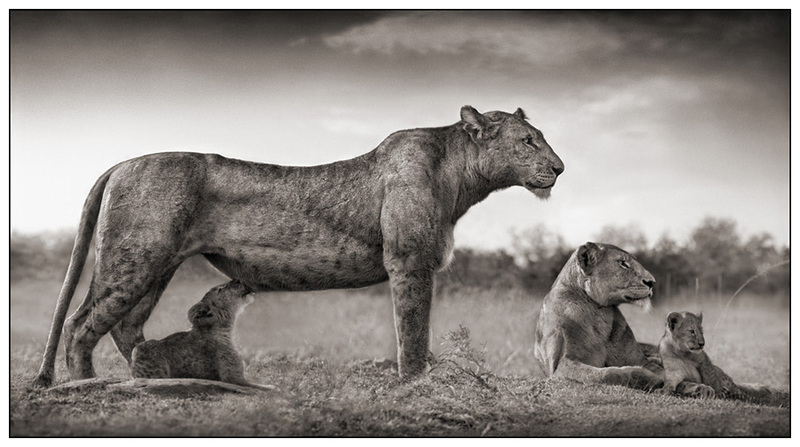 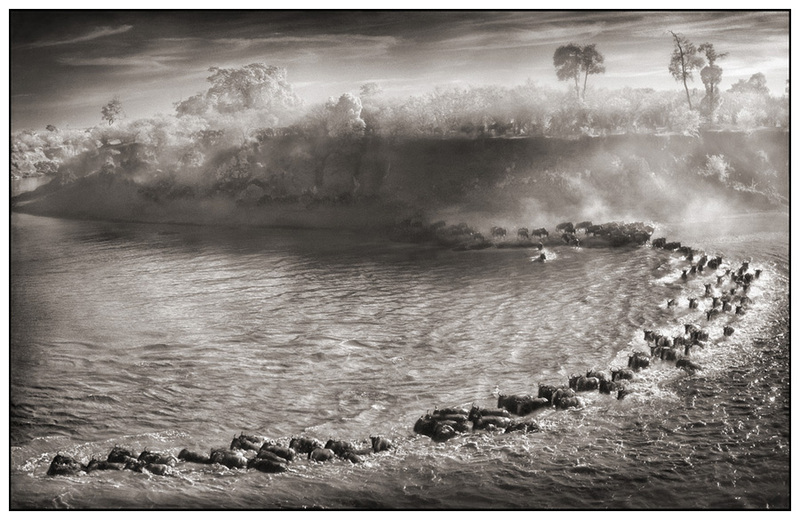 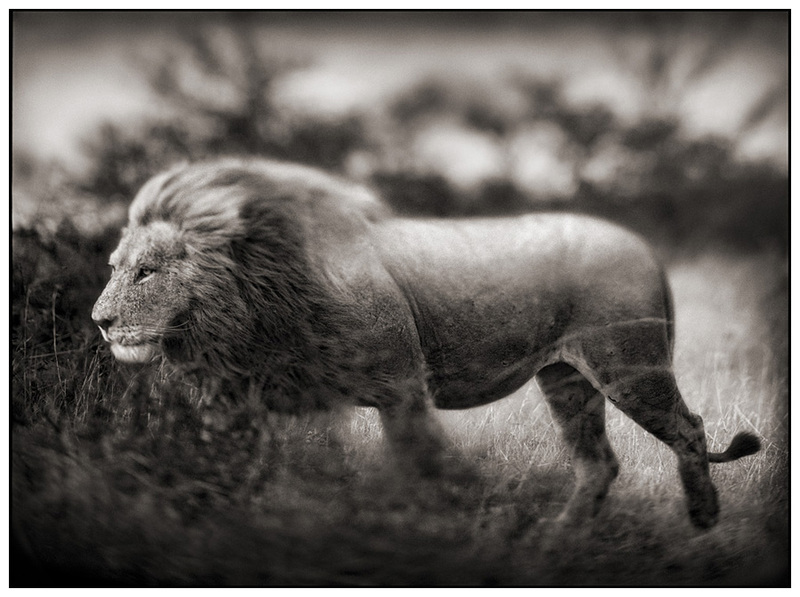 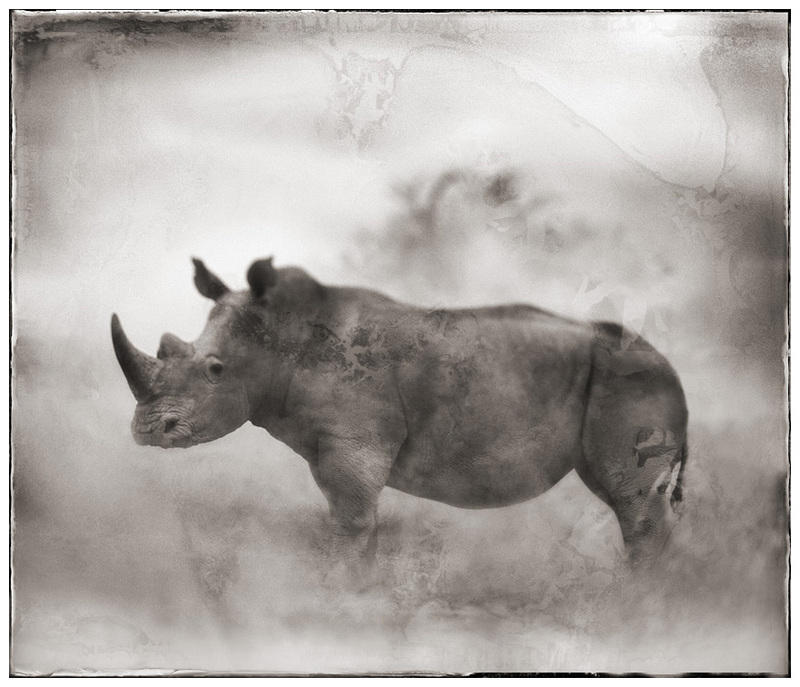 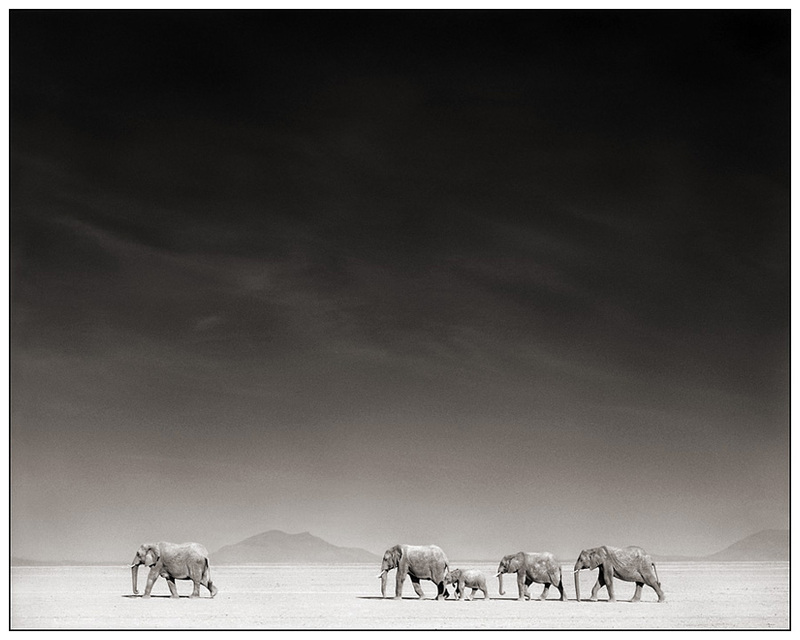 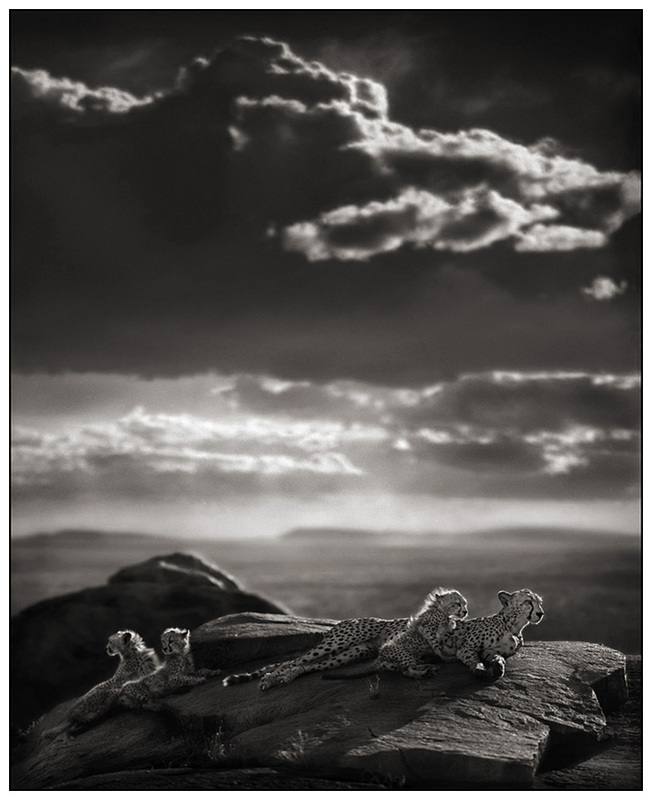 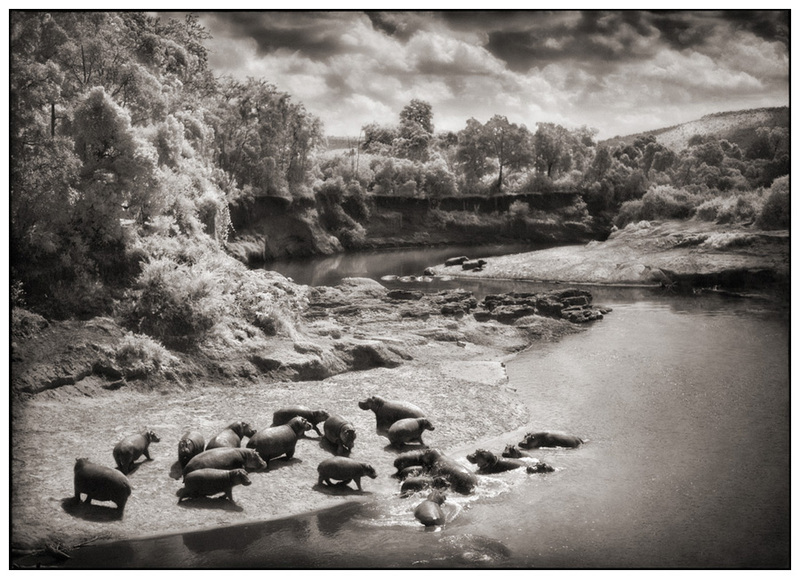 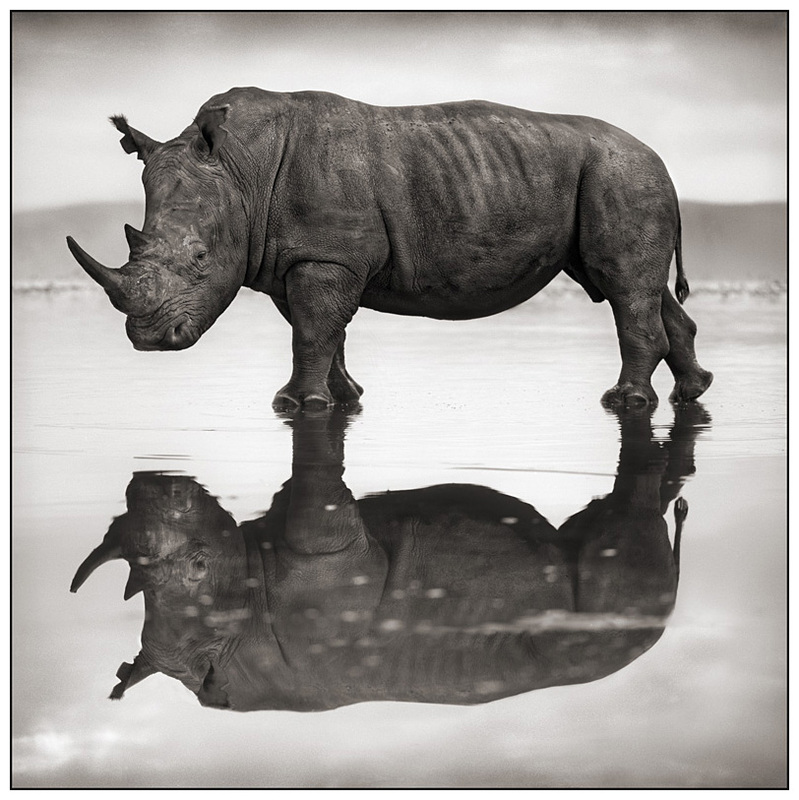 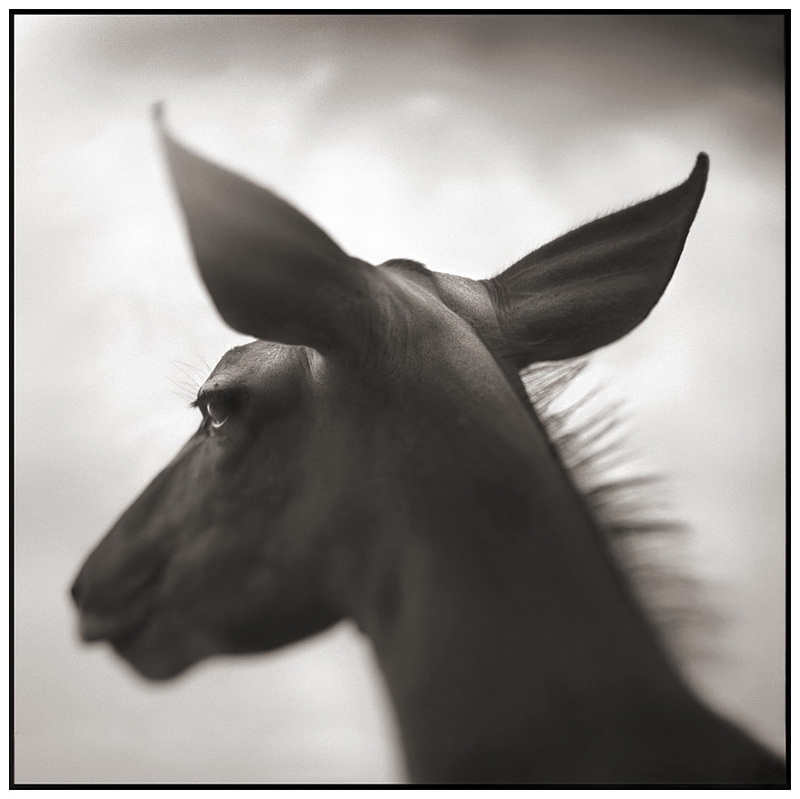 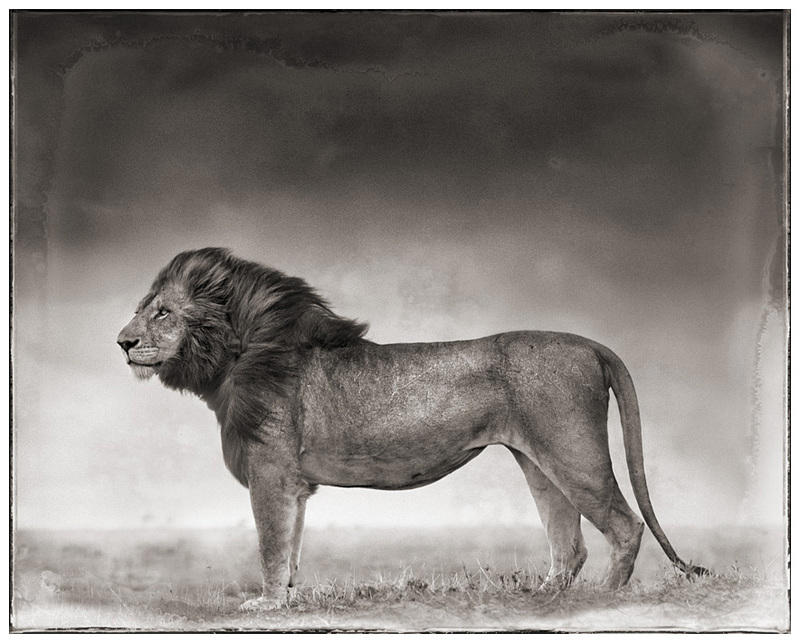 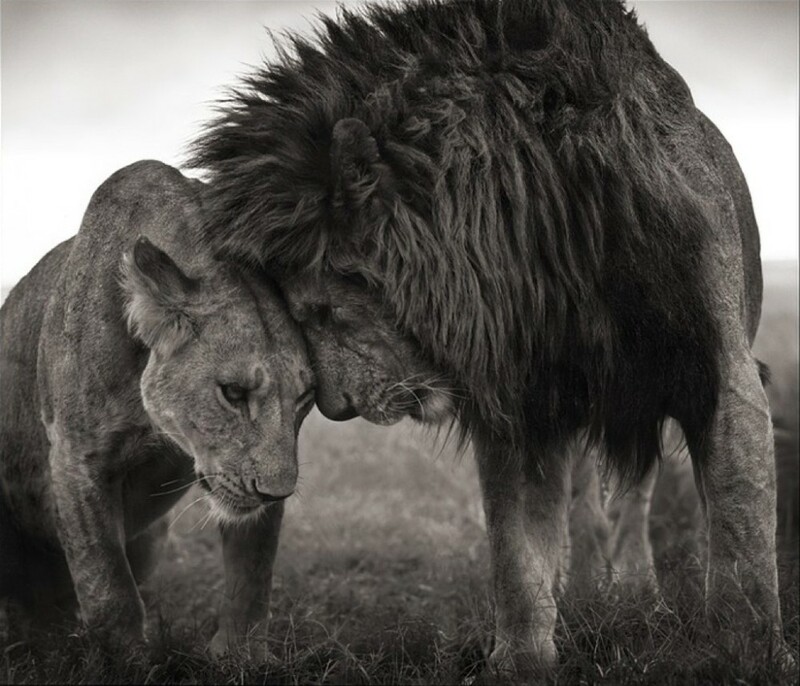 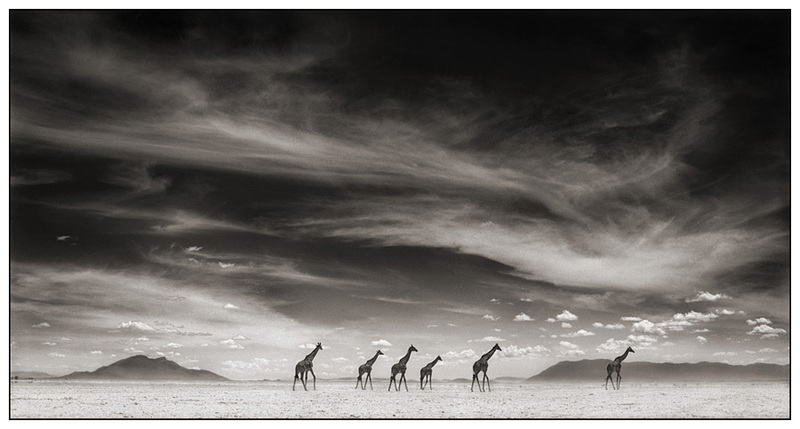 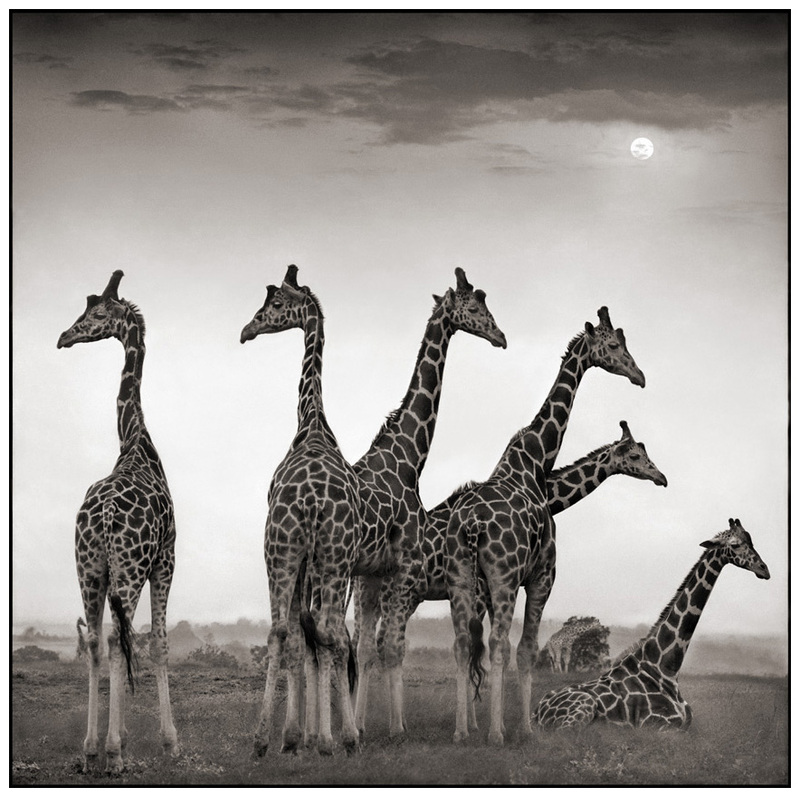 The animals of East Africa hold a deep fascination for Nick Brandt. 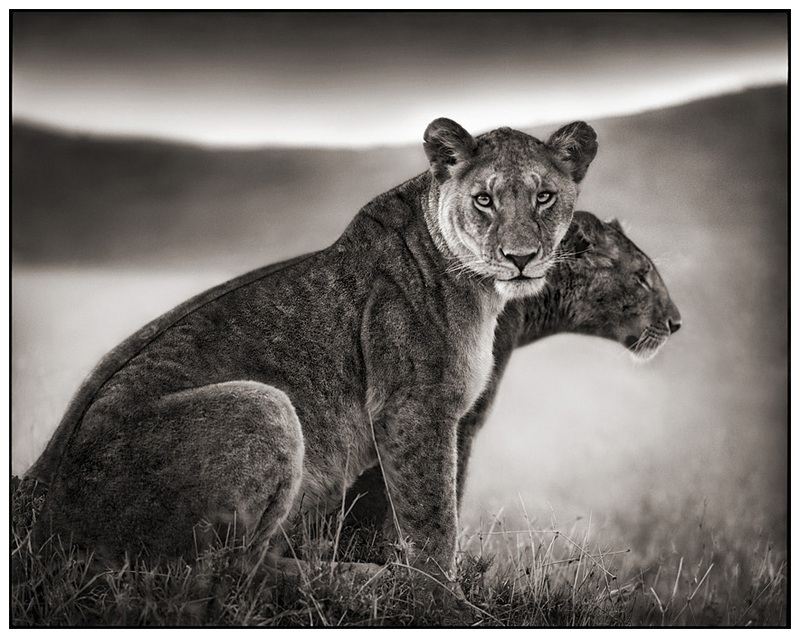 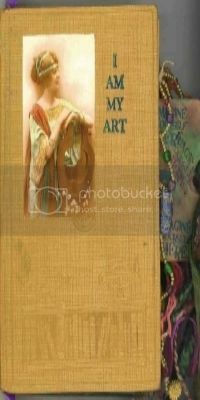 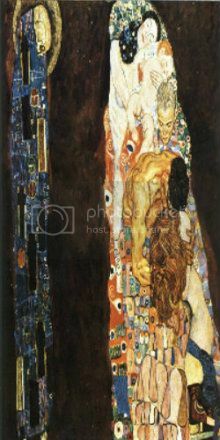 Since he first saw them, he felt drawn to photograph them, to capture their beauty and majesty. 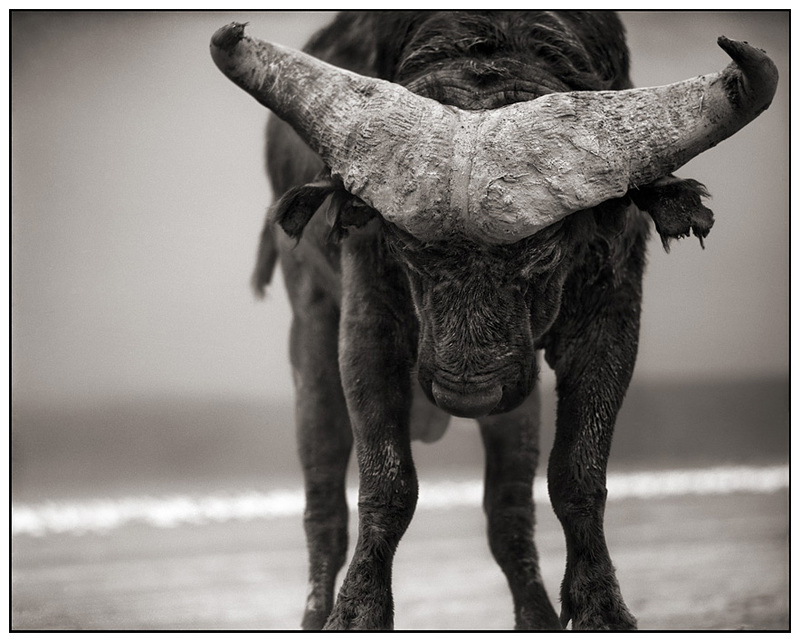 But he was also driven by a heartfelt desire to show how the animals' future is in serious threat. 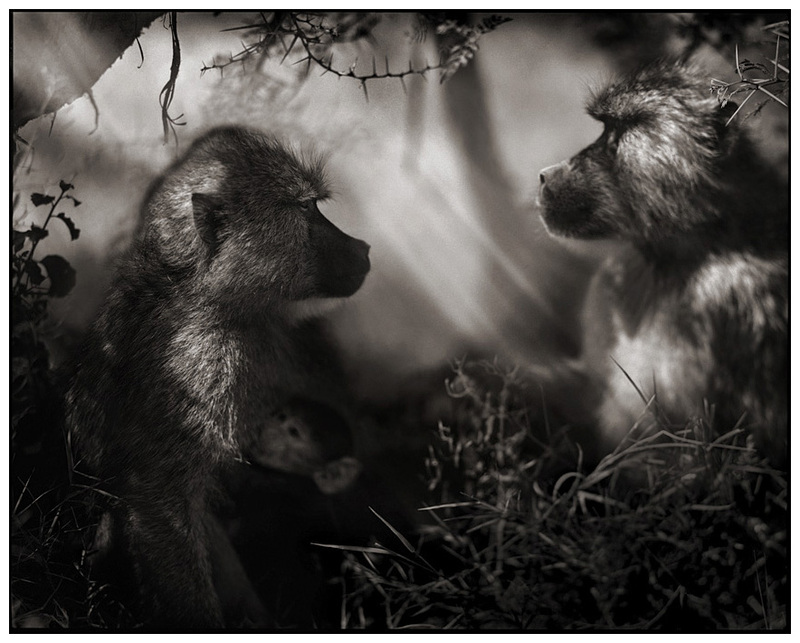 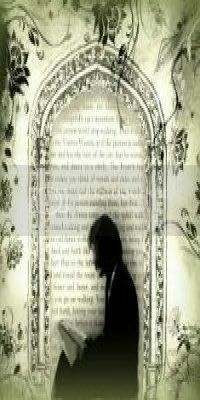 A Shadow Falls (the book) is heartbreakingly beautiful and full of epic landscapes and iconic images. 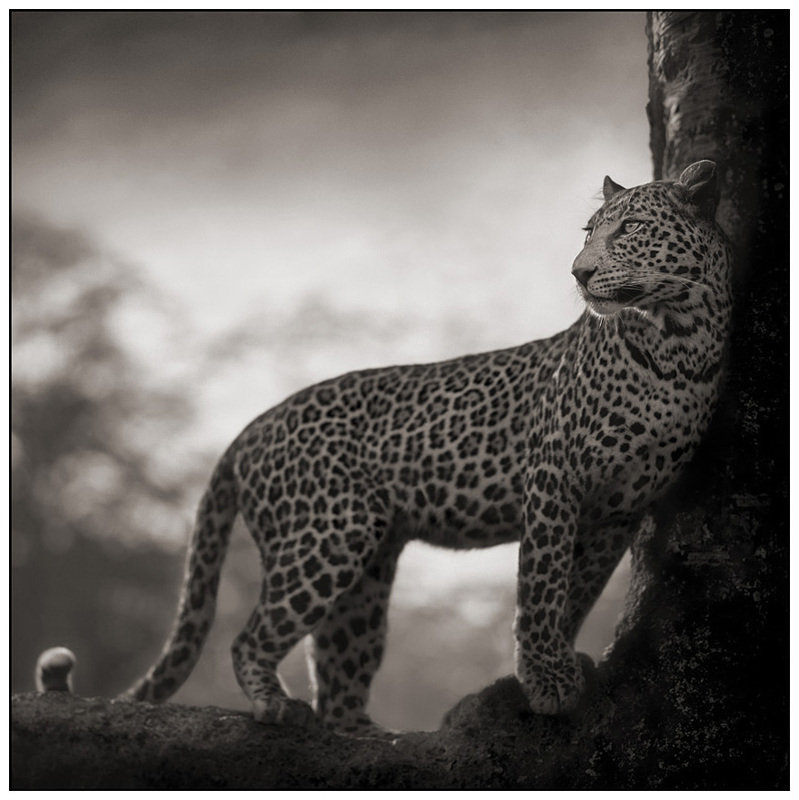 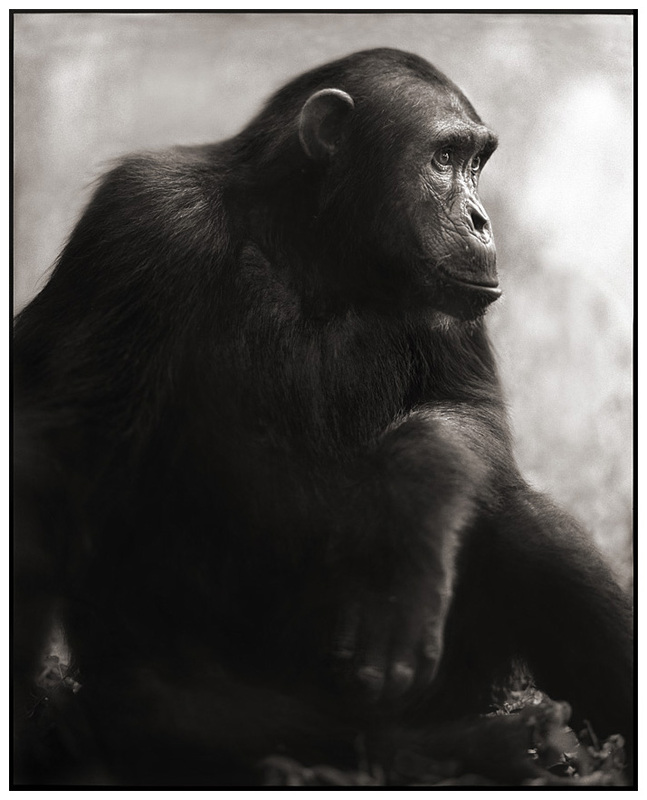 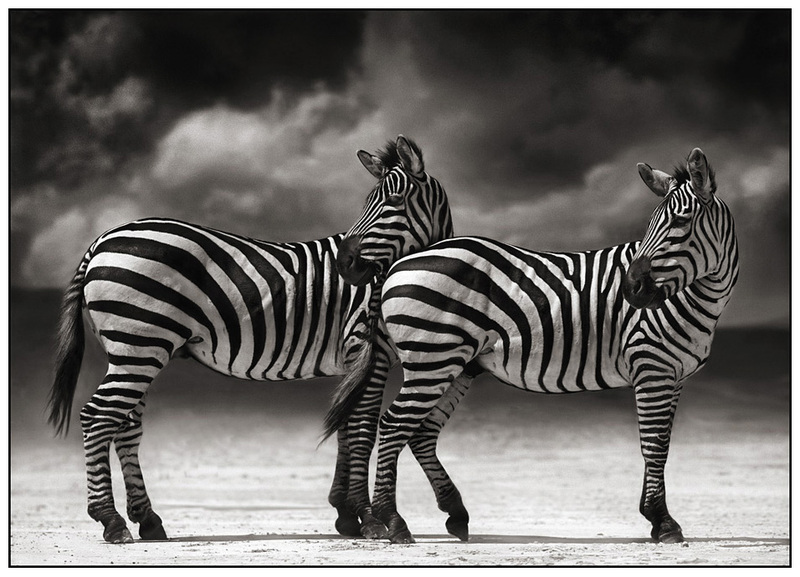 Pictured in black and white, the animals appear noble, even mythic in a way rarely seen before. 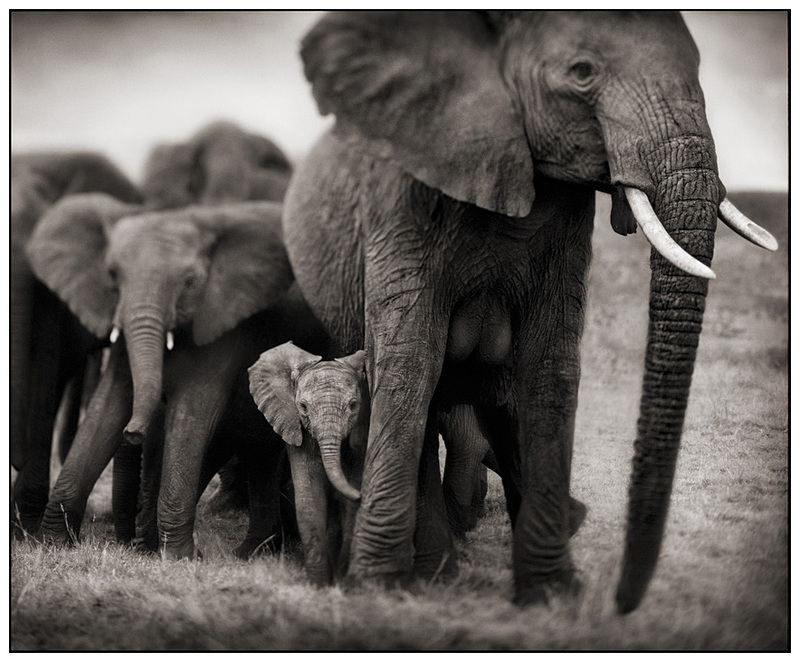 But there is also a strong sense of the plight of these animals. 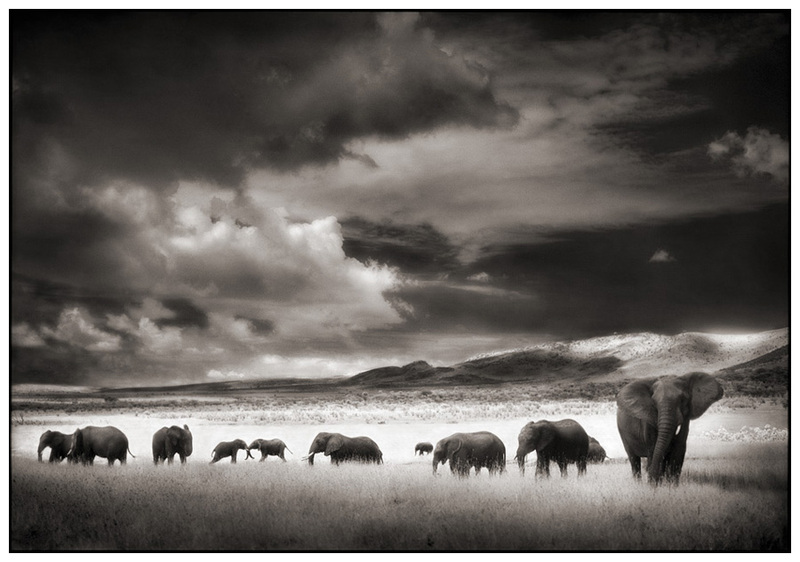 Dark clouds overhead suggest an ominous future. 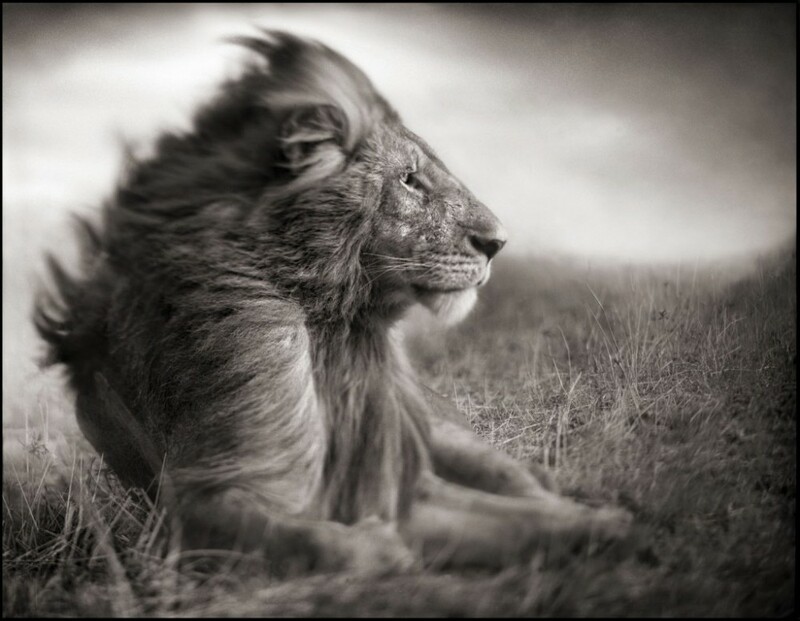 A strong wind on a lion's mane warns of the storm approaching. 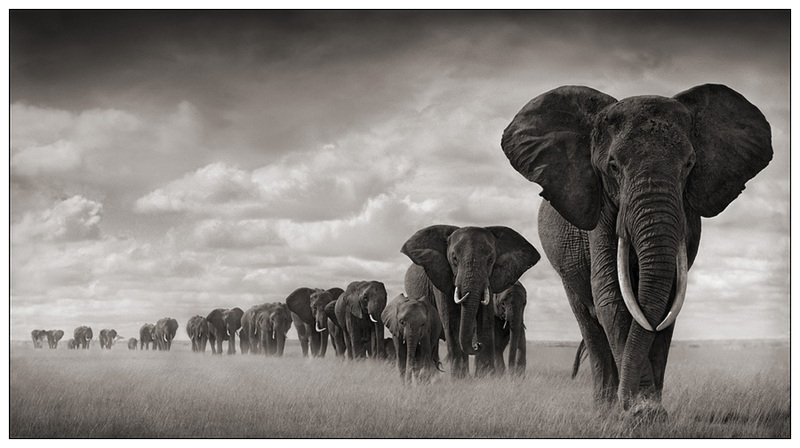 Animals trek across vast plains, like refugees from a disaster. 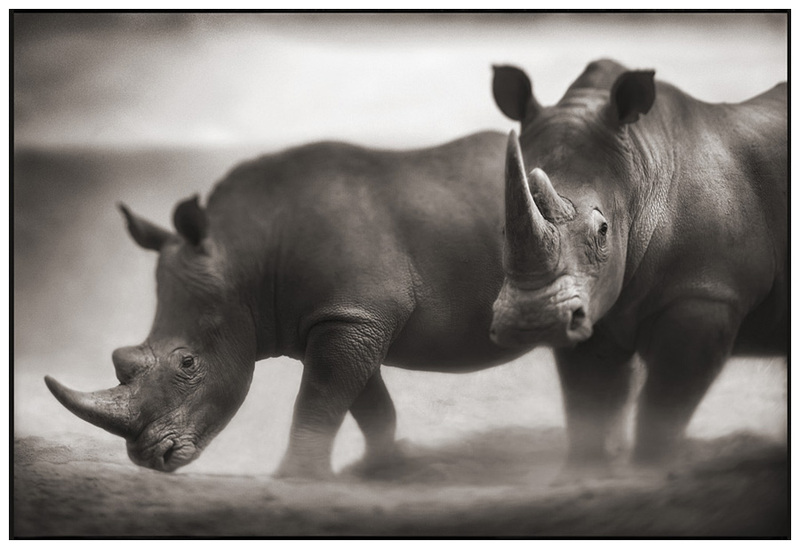 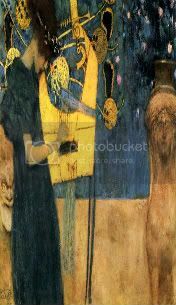 Added to this, the edges of some pictures seem aged suggesting the animals are already extinct, already in the past. 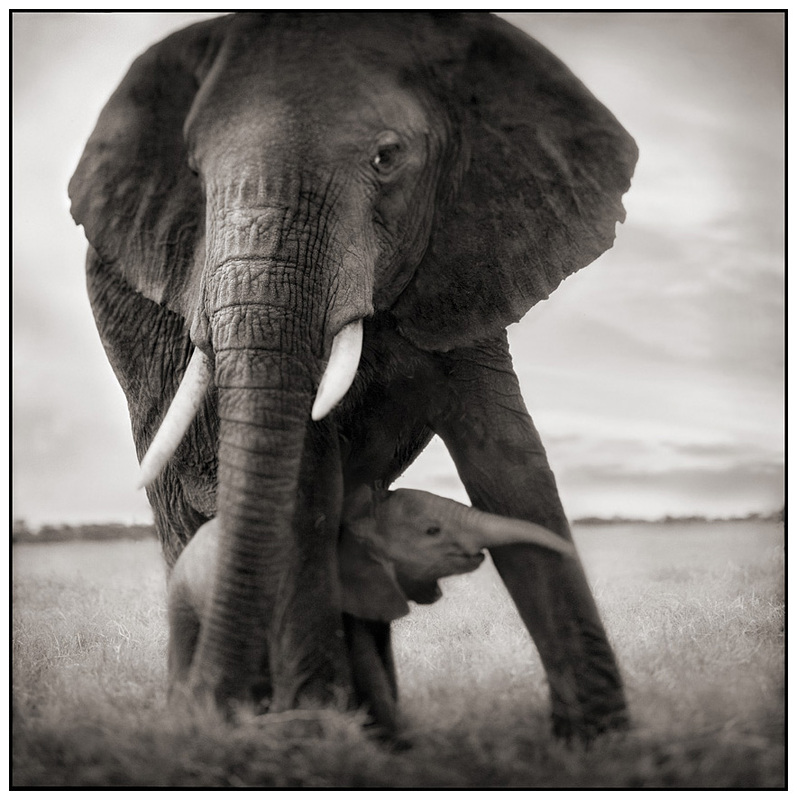 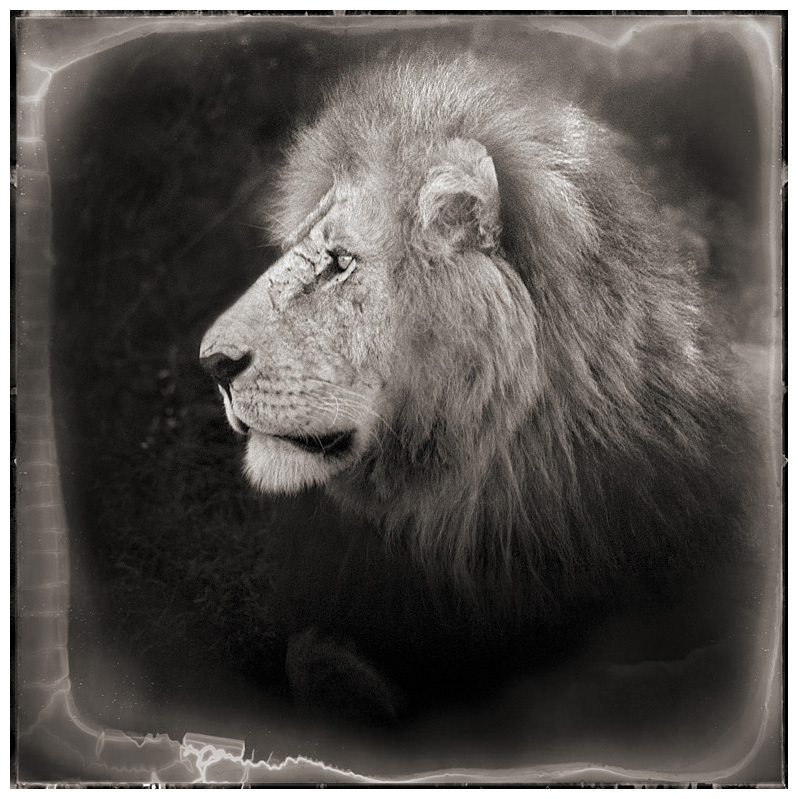 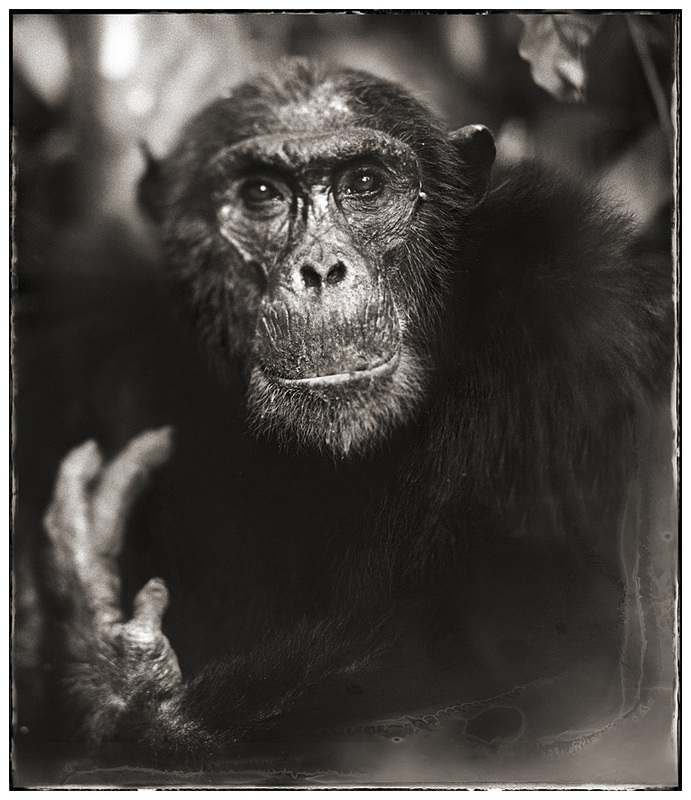 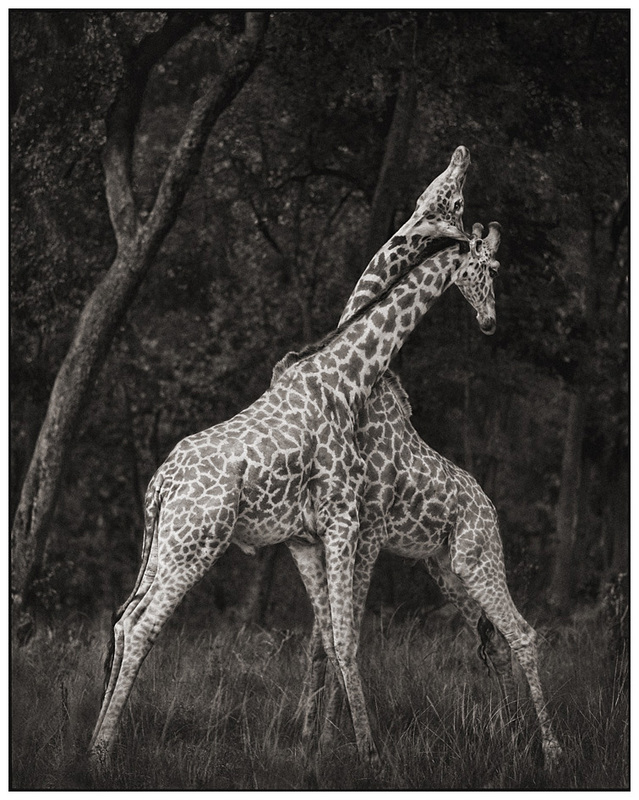 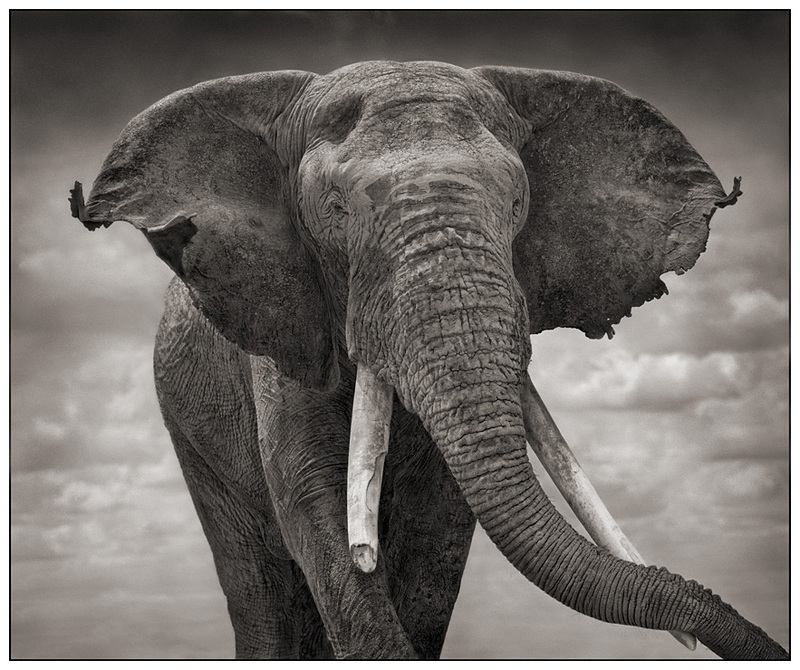 This world of struggle and survival is one that Nick Brandt becomes absorbed within: “I get extremely close to these very wild animals, often within a few feet of them. 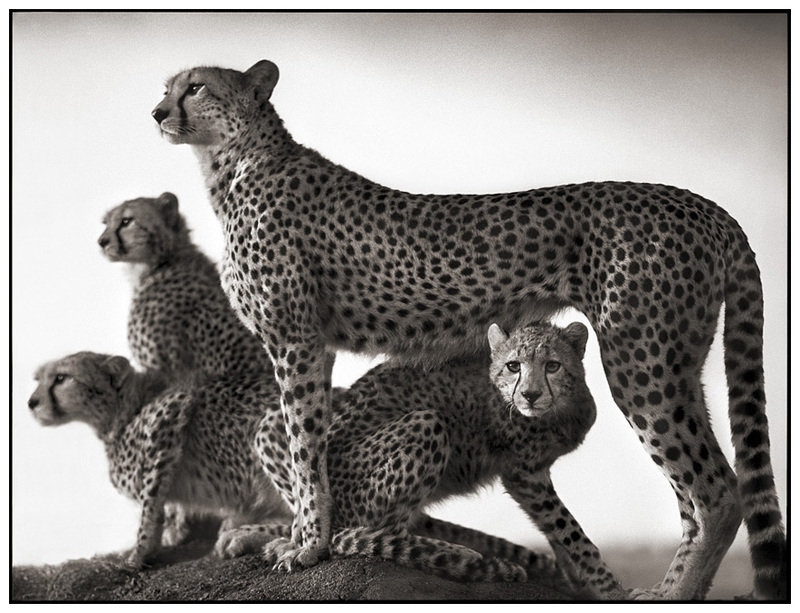 I don’t use telephoto lenses. 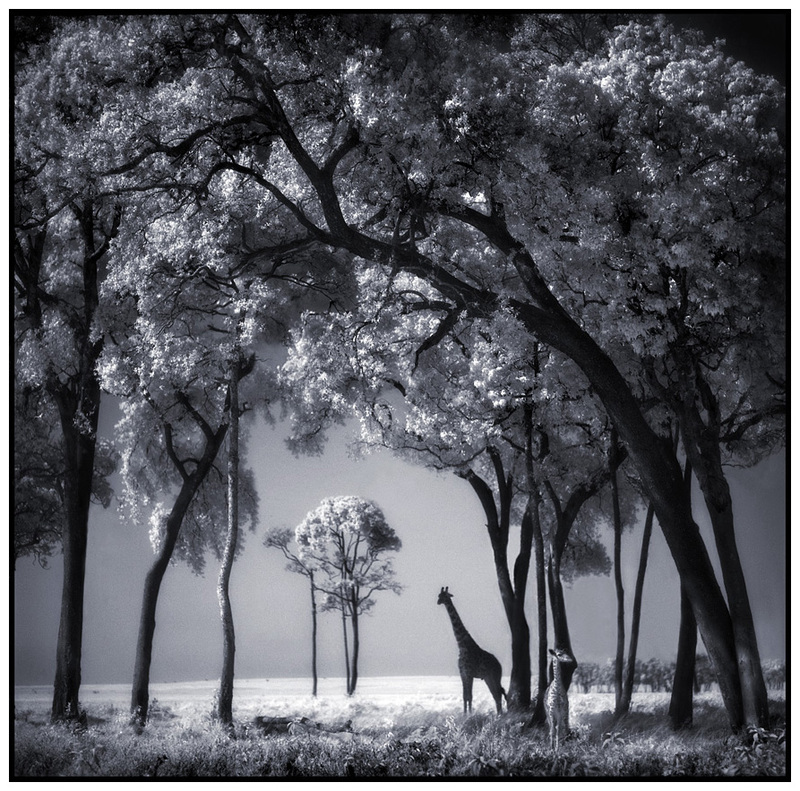 Brandt sure does some nice work, Better; it's more real than real.